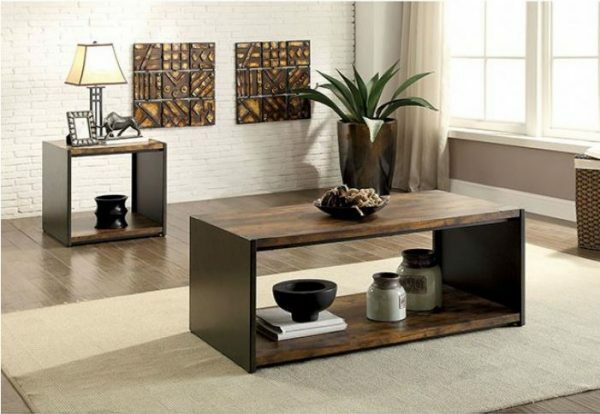 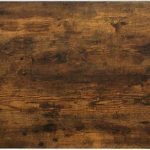 A minimalist design with rustic influences, this table offers a creative look with tons of charm. 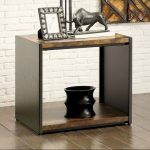 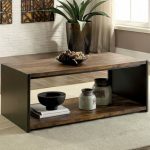 The simple rectangular panels are coated in a matte black finish to bring out the warm tones of the faux wood veneer. 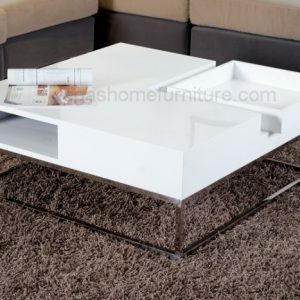 A spacious table top and open base offers an ample amount of space to store and display books, accessories and more.